A vintage floral wreath encircles "Thank You," written in a bold, modern font. 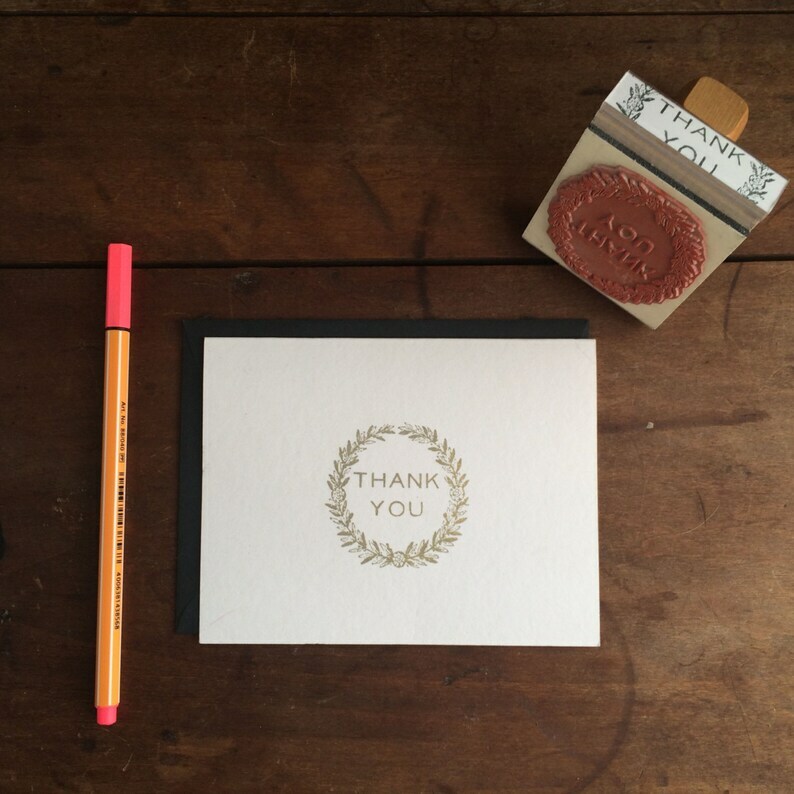 Perfect for making your own cards, stamping gift tags, or stamping right on the wrapping paper of a gift. Stamped image measures approximately 2 in x 2 in.